Take a look to see what to expect from the EMC+SIPI 2019 Symposium! 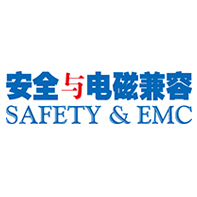 EMC+SIPI 2019 leads the industry in providing state-of-the-art education on EMC and Signal Integrity and Power integrity techniques. The Symposium features five full days of innovative sessions, interactive workshops/tutorials, experiments and demonstrations, and social networking events. Join us in New Orleans in 2019! See why thousands of engineers are keeping up to date with our EMC+SIPI 2019 announcements. Join your colleagues in New Orleans where you can share your insight, ask questions, learn from the experts/innovators and see new products at the 2019 IEEE EMC+SIPI. YOU know that 2019 IEEE International Symposium has a lot to offer, but how can you justify your trip? Here is a list of suggestions. Plan your Exhibit Hall Experience with our Interactive Floorplan and learn more about the exhibitors. The 2019 IEEE International Symposium on EMC+SIPI is the leading event to provide education of EMC and Signal & Power Integrity techniques to engineers of all backgrounds. The Symposium features five full days of training, innovative sessions, interactive workshops & tutorials, experiments & demonstrations, and social networking events. Join us July 22 - 26, 2019 in New Orleans, LA!